President Donald Trump’s proposed gutting of Great Lakes protection and cleanup funds for a third straight year has drawn frustration and eye-rolling from Michigan environmentalists. Trump proposed a $270 million cut to the Great Lakes Restoration Initiative on March 11 for the 2020 fiscal year, a 90 percent decrease over current levels. That’s a little better than his 2018 budget proposal to eliminate it completely before proposing an identical 90 percent cut the following year. Organizations relying on that funding take the continued threats seriously, said Sean Hammond, the deputy policy director of the Michigan Environmental Council. But after two years of congressional pushback and a failure to make the cuts, the attacks on the initiative are getting old. Every federal dollar spent on the program — which has a $300 million budget for this fiscal year — will produce an estimated $3.35 in additional economic activity in the Great Lakes region through 2036, according to a University of Michigan study. Nearly half of that increase is expected to come from the tourism industry, with additional improvements in housing values and job creation. More than 1,000 projects have received the restoration funding since its inception in 2010, according to Hammond. One is the Nature Conservancy’s protection of native reef fish in the Grand Traverse and Little Traverse bays. Invasive predators like rusty crayfish and round gobies prey on native trout, whitefish and cisco, which are crucial to the Great Lakes economy, said Matt Herbert, an aquatic ecologist with the Nature Conservancy. The recreational and commercial fishing industries and shoreline restaurants offering local fish depend on the native species, Herbert said. The Nature Conservancy’s program bankrolled by the restoration funds decreases densities of predators in the native fishes’ habitats. 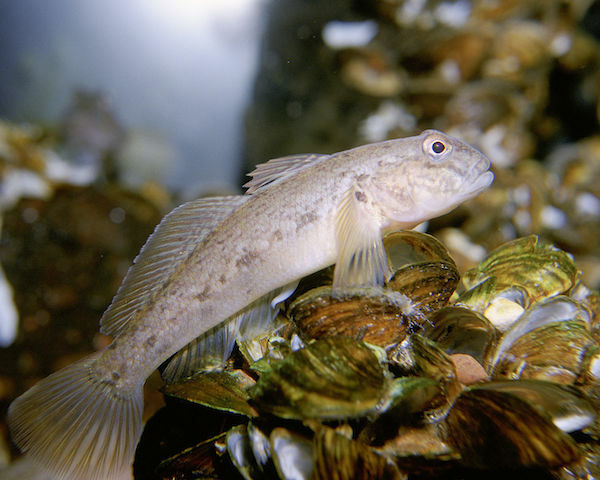 The group partners with Central Michigan University and the Department of Natural Resources to trap crayfish, test population control methods on round gobies and build up the freshwater reef habitat. Funding has already been secured for this year, he said. But continued attempts to address the problem — or new strategies to address what didn’t work this year — would fall apart if Trump’s budget passed. If the funding dried up, “whatever work we’re doing right now, we’d wrap it up with no potential to do more work on that or anything else like it,” Herbert said. The restoration funding also supports “tribal capacity-building” initiatives to bolster current projects and prepare for future actions. Numerous Native American tribes, including the Grand Traverse Band of Ottawa and Chippewa Indians and the Sault Ste. Marie Tribe of Chippewa Indians, receive money for such purposes. These programs equip tribal members to participate in restoration projects, said Mike Ripley, the environmental coordinator for the Chippewa Ottawa Resource Authority. The authority represents the five sovereign nations — including the Grand Traverse Band and the Sault Ste. Marie Tribe — whose hunting and fishing rights are protected under an 1836 treaty ceding indigenous territory on the Great Lakes. The Grand Traverse Band’s efforts improve water quality in Lake Michigan. The Sault tribe’s work includes participation in a lakewide management plan for Lake Superior, Lake Huron and Lake Michigan. Federal funding for tribal capacity-building is “extremely important” not only to the tribes, but to the success of the projects they participate in, Ripley said. One example of the Grand Traverse Band’s work is on “restoring the Boardman River by removing dams,” he said. That involves multiple agencies, but the restoration money helps the tribes be key players in such projects, he said. Ripley praised the bipartisan support of the program within the Great Lakes’ congressional delegation. The proposed cuts are typical of a presidential administration “determined to undermine the environmental laws of the United States,” he said. We need US Senatorial & Congressional support for our restoration efforts of the Great Lakes. If our President is continually cutting money for this from the budget and frivolously adding it back in a carride to an election rally-we have a problem of sound support. We need representation from elected officials that will stand up to these cuts, not beggars on the way to an election rally. Rep Moolenaar in District 4 has always voted with the president. We need an elected official in Distr 4 that will stand up for the health of our waterways and people.